Since i started back into Warhammer and Warhammer 40k (mid 2013) i have done 6 different 40k armies and have sold the first 4 of those. The reason for this is that i had issues with 6th ed and those 4 armies didn't click with me in the way that Wood Elves have clicked for me in WHFB, in fact i enjoy Wood Elves so much that they are the only fantasy army i will do (i have tried three times to do a second WHFB army and have sold each of those 3 armies after relieasing that they weren't Wood Elves). However the 2 40k armies i am working on now have clicked, and in turn i am actually looking forward to playing Wh40k again. 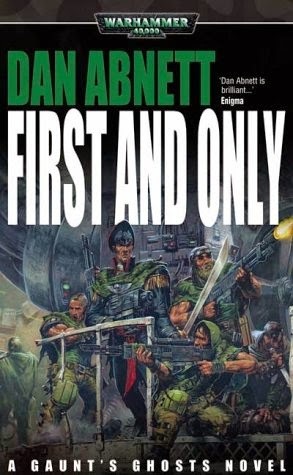 The two armies that have my attention (and finances) are a Ork army and an army i have wanted to do since i first read one of the novels about them: The Tanith First and Only, or Gaunt's Ghosts. Up until recently if you wanted to do a Tanith army it meant a lot of hard conversion and a huge price tag. 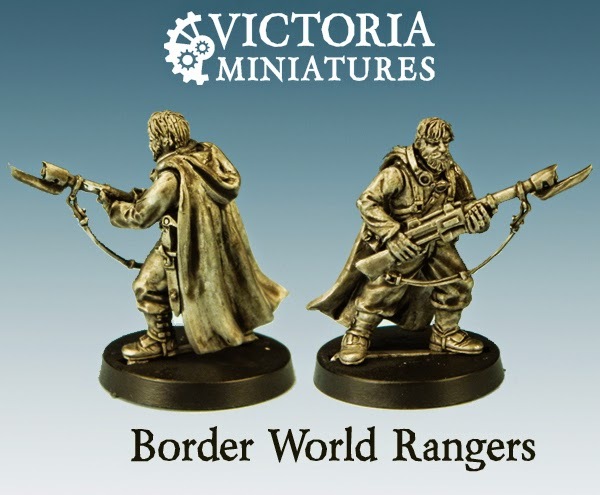 Then a site called Victoria Miniatures released a Guard eske unit called the Boarder World Rangers (basically the Ghosts but with a copy right friendly name) which gave hobbyists a basic unit for the Tanith that looked like the Tanith described in the books. So thats the current state of my 40k hobby. Despite finally finding 2 armies i want to play 40k will always be behind WHFB in terms of excitement for me, at the end of the day i enjoy the WHFB ruleset and the Wood Elf army more than 40k and either of the 40k armies i own. Also WHFB is my competitive wargame, i will never take either the Guard or the Orks to a tournament but i will take the Wood Elves to as many tournaments as i can, and that also explains why i will not do a 2nd WHFB army. As WHFB is my competitive wargame i want to focus on one army to improve with, that and all other WHFB armies have the fatal flaw of not being Wood Elves. Until next time. Dark Elves are pretty damm good, they are the army i end up facing the most at the local club. 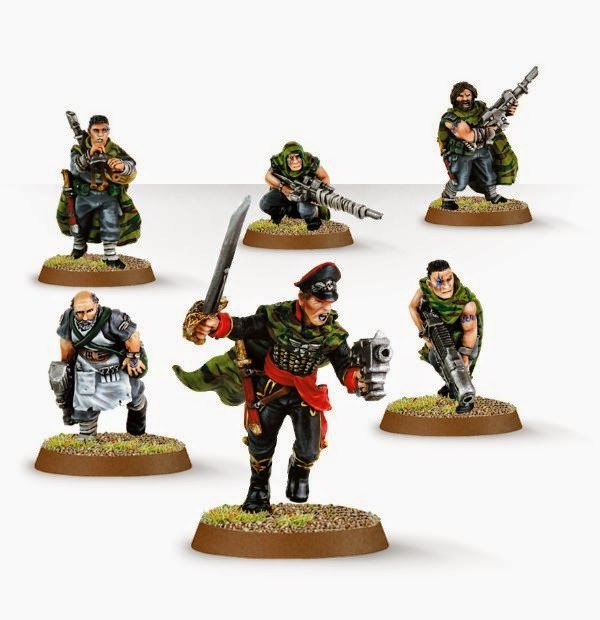 I'd like to request that, assuming you've been working on the army, you consider for occasional use with your army my Gaunt's Ghosts codex. Although there are many out there, mine is the only cohesive and standardized codex. It's an 87 page book written to 7e standards and it has a full FoC besides the full range of characters and allies. I'll eventually be releasing a third version, which'll be simmered down. But at the moment I'd like to establish with collectors of the Tanith an effort to playtest this codex. If you don't like Scribd you can download a hard copy as a torrent off of The Pirate Bay.